A woman with an incredibly high level of energy, Emily Pitts Stevens (1841-1906) literally gathered the beginning threads of the women’s movement and wove them into the cause for suffrage. She published the first journal for women’s suffrage in the West. She was a member of the small group of July 1869 patriots who formed the nucleus from which the California Woman Suffrage Association emerged in January 1870. She and Laura deForce Gordon organized and hosted Susan B. Anthony’s and Elizabeth Cady Stanton’s one and only trip to San Francisco together in 1871. With a keen passion for the abuses women endured in an uncaring society, she formed organizations and provided printing opportunities to employ and train young women. As a teacher, she pioneered a public evening school for girls in 1867. An activist, a publisher, a businesswoman, a teacher, administrator, speaker and founder of organizations to benefit women and further suffrage, Emily Pitts Stevens’ name should never be forgotten. 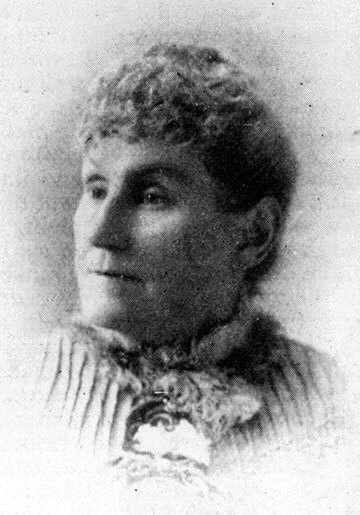 Emily Pitts Stevens bought the California Sunday Mercury and turned into the first written voice of suffrage in the West. Reflecting her highly charged energetic style, Mrs. Pitts Stevens renamed the journal three times before finally settling on The Pioneer. Within 1865 to 1870, Mrs. Pitts Stevens hired women to set type for her journal, promoted the all-woman Women’s Co-operative Printing Union, and founded the Woman’s Publishing Company.